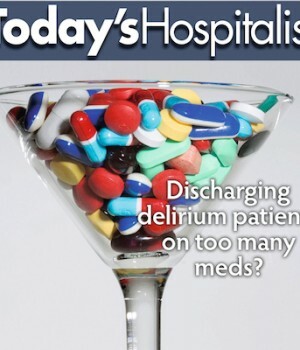 Home Cover Story Discharging delirium patients on too many medications? Discharging delirium patients on too many medications? AT HEALTHEAST CARE SYSTEM’S St. John’s Hospital in St. Paul, Minn., all patients admitted for nonemergent surgical procedures and their families are asked to watch a short video. The video doesn’t, as you might think, promote hospital services or tell patients what they should expect during their stay. Instead, the nine-minute film talks about how to prevent delirium in the hospital and manage the condition if it develops. The video is one component of a system-wide project to improve the prevention, identification and treatment of a disorder that affects nearly one-quarter of all inpatients. But providers there also recognize that relatively little attention “either locally or nationally “is being paid to ensure that discharge plans for patients who suffer delirium are just as robust. “We think our developing program is fairly innovative, but my sense is that precious little is being done systematically to ensure that discharge plans reflect the needs of delirious patients,” observes Alvin Holm, MD, a geriatrician who is the medical director of HealthEast’s cognitive and behavioral disorders program. Susan Merel, MD, a hospitalist and geriatrician at the University of Washington in Seattle, agrees. Despite the intense national focus on improving care transitions, Dr. Merel says that she doesn’t see patients with delirium receiving the same comprehensive attention at discharge as, say, patients with heart failure. “I don’t think there’s enough awareness about the prevalence of delirium and the importance of having a good discharge plan,” she notes. Even something as simple as listing delirium as a diagnosis, says Dr. Merel, “doesn’t always happen. 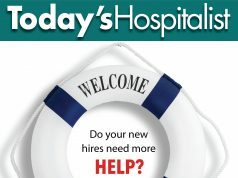 Several statistics point to the need for better discharge planning. Nationwide, delirium affects 22% of all hospital patients, with delirium persisting in approximately 21% of those patients six months after discharge. At one year, as many as one-quarter of patients who stay in an ICU have persisting cognitive impairment, according to a study in the Oct. 3, 2013, New England Journal of Medicine. Patients with delirium have a higher risk of death within two years and are more likely to be readmitted than those without the diagnosis, points out Fred Rubin, MD, a geriatrician and chief of medicine at UPMC Shadyside Hospital in Pittsburgh. When delirium develops in the hospital or delirious patients are admitted to the hospitalist service, how can hospitalists improve the discharge? For starters, they should take a hard look at patients’ medication lists and remove any sedative or anticholinergic that patients don’t absolutely need. He urges hospitalists to try to answer that question a day or two before discharge by conducting a therapeutic withdrawal trial. When patients need continued pain treatment before discharge, choose medications carefully, says Thomas Zaubler, MD, MPH, chair and medical director of the psychiatry department at Morristown Medical Center in Morristown, N.J. He recommends using dilaudid instead of other narcotics. “Certain narcotics such as dilaudid are less likely to induce or worsen delirium, which makes it a safer drug,” Dr. Zaubler says. He also recommends mixing up patients’ narcotic schedule. Then there’s the issue of using and continuing antipsychotics, both before and immediately after discharge. Typical antipsychotics like haloperidol and atypicals such as clozapine and risperidone can help turn a delirium around. But those same medications become problematic in a step-down or outpatient setting. For one, patients on antipsychotics must be closely monitored, and many skilled nursing facilities (SNFs) may not have the staff to do so. And two, many nursing homes no longer want to give antipsychotics because of the FDA’s black-box warning about increased stroke risk. “The FDA’s warning has had an overwhelmingly chilling effect on nursing home antipsychotic prescribing,” Dr. Zaubler points out. “Instead, they start using medications like Ativan, Xanax or Valium, which exacerbate delirium.” He recommends that hospitalists educate SNF personnel on how to manage delirium and ask them to continue antipsychotics short-term when warranted. In patients with rapidly resolving delirium, antipsychotics might be discontinued at discharge. But when delirium persists, some patients might need to remain on antipsychotics for two or three weeks, Dr. Zaubler notes. Dr. Merel agrees, saying that she tries to discontinue using antipsychotics before discharge, if possible. 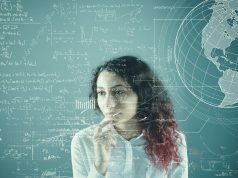 “But if the hospitalist is sending the patient to a SNF on antipsychotics, include the tapering schedule,” she says. Dr. Cumbler takes that tapering schedule one step further: He always includes an automatic stop date on antipsychotics post-discharge, absent re-evaluation by a geriatrician or psychiatrist. Most patients with delirium who are otherwise stable go home at discharge. Why? Clinicians may not fully recognize the severity of the disorder, especially when patients are hypoactive. Or family members may insist that patients will do better at home, or hospital staff may not be able to make alternative care arrangements. Ideally, patients with persisting delirium “which is about one-third of those who develop delirium in the hospital, Dr. Rubin says “should be cared for in a step-down setting. That’s because they’re likely to need far more care and supervision than families, and perhaps even some doctors, realize. Dr. Zisko’s group ensures that patients with delirium undergo a thorough evaluation by PT, OT, respiratory therapy and physical medicine. That gives them plenty of documentation if staff have to battle with insurers over SNF placement. Usually, says Dr. Zisko, stating that the patient is deconditioned does the trick, as delirium is not considered a skilled need. Besides averting safety risks and facilitating recovery, strong at-home support can help prevent poor outcomes, says HealthEast’s Dr. Holm, including avoidable readmission. When hospitalists must discharge a patient with delirium to home, Dr. Merel suggests “staffing up” with as much home nursing, PT and OT as hospitalists can order. Insurers typically don’t resist such orders, she points out, “because it’s less expensive” than discharging patients to a facility. When a SNF or rehab setting is warranted, hospitalists should make sure the facility can handle patients with delirium. “SNFs are not all alike,” says Dr. Zisko. 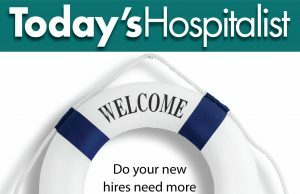 “In our area, some are exceptionally well-equipped to deal with delirium, while others don’t make the extra effort.” At the very least, hospitalists should ask if the facility has frontline staff experienced in caring for acute delirium and the ability to consult with geriatric psychiatry. According to Dr. Cumbler, the Medicare Web site Nursing Home Compare can help determine which facilities might provide better care than others. 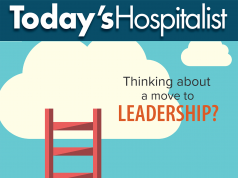 But he points out that hospitalists often have little control over where patients end up. “Unfortunately, expertise in handling delirium usually is not a determinant of where a patient goes,” he says. Hospitalists also need to inform the receiving facility and/or primary care physician, as well as the family, about how the delirium presented, its presumed cause or causes, and its trajectory. When transmitting information about the delirium diagnosis, says Dr. Holm, the more detail the better. “Hospitalists should tell the receiving doctor why they think the patient was delirious,” he says. “Was it low sodium? An underlying neurodegenerative illness that needs to be evaluated once the patient is more stable? Or is it likely the medications the patient was given?” It’s also helpful to fully describe patients’ behavior patterns, such as sundowning, or whether the delirium was exacerbated by certain medications or situations. To make sure clinicians post-discharge receive the information they need, hospitalists should consider modifying their discharge checklist to emphasize the special needs of patients with delirium. Morristown Medical Center’s Dr. Zaubler also urges hospitalists to stress regular post-discharge cognitive assessment. Once patients are in a SNF, he recommends that staff screen patients daily for delirium with a scale such as the confusion assessment method. That can be completed in five to 10 minutes by nursing or support staff. And even when patients are recovering rapidly, outpatient physicians should be advised to periodically assess cognitive function. All patients should be seen by a doctor “a primary care physician, geriatrician, psychiatrist or neurologist “within two weeks of discharge. In most cases, patients can be safely managed by primary care, but they should be referred to a specialist if they don’t improve. In such cases, primary care physicians with little experience with delirium might benefit from requesting a geriatric psychiatrist consult. Hospitalists may also find such consults valuable before discharge, says Dr. Zisko. When these patients are headed home, educating caregivers is often overlooked. Caring for patients with delirium is a demanding, time-consuming undertaking, and families should be prepared accordingly. That means recommending 24/7 monitoring at home. Dr. Mattison says that she begins her pre-discharge conference with patients and families with a candid statement. “I tell families that it can be a long, slow road to recovery with delirium, and that it may take weeks for patients to get better,” Dr. Mattison explains. She also points out that most patients do improve significantly over time, and she urges families to call the primary care physician or the hospital clinical team if the patient isn’t improving. When a patient with delirium at UPMC Shadyside is going home, the pre-discharge family conference lasts between 20 and 30 minutes. According to Dr. Zisko, hospitalists provide a picture of what to expect. He reminds family members that patients do best with balanced sensory stimuli “enough to keep them engaged but not so much that they become overwhelmed. “If the patient is agitated, families need to turn off the stimuli,” Dr. Holm points out.